The Board meeting minutes (aka Exhaust Notes) has permanently moved from the Mountain Passage newsletter to the website. Once the AMR Board has approved the monthly meeting minutes, we will post the contents on this webpage. This webpage will provide six months worth of meeting minutes, after that, the contents will be archived to a Word document and will be available for download by members. Minutes are submitted by AMR Secretary Tim Drummer. Attendees: Alex Ching, Barb Treacy, Dana Kasten, Dwight Kasten, Denise Jordan, Jim Sorensen, Mark Stolberg, Robert Yen, Robert Baumgartner, Karl Klepfer, Jackie Vance, Pete Kelzer, Jack Ferguson, Nate Adams. Review of Action Items – All previous items have been completed. None due to many topics on the agenda. Treasurer’s Report (Dana): Two month summary was presented with Income including the PCA Quarterly Rebate, three newsletter advertising payments and interest. Expenses included Cloud account, Blue Tire winner, truck licensing, PPIR track rental/insurance/rescue squad payments, Instructor Clinic Deposit/Insurance and newsletter expenses. YTD accounts are down as expected as deposits are put down on future events. Treasurer report was Approved. Newsletter: Max was unable to attend but Denise provided update that Calendar information has been corrected and to remind everyone to submit content on past and upcoming events. Advertising (Denise): There are some outstanding advertiser payments and some new advertisers are being secured. PCS sponsorship should be received soon. Sponsorship (Denise): Denise and Alex are working on finalizing tiered information which should be available for review next month. Membership (Jim): 434 Members and 259 Associates for a total of 693. There were 5 new members in February and already 10 new members in March. There were 2 transfers. Website (Alex): Website is up to date. A Control/Starter page has been created with information needed for those positions. CDI Program (Mark): There are 3 candidates for the upcoming training session. Membership Socials (Denise): Next social is at Mackenzie’s and is already full. Charities (Barb): Suits for troops had a good response and more items may be coming in. The charity for April and May will be TriLakes Cares. PCS: Fred was unable to attend, there was no report. Tours (Nate): Tours this year are being done as dry runs for 2020 event. Porsche & Pancakes (Nate) – 44 people are currently signed up. Opportunity to educate people on Tours and recruit volunteers. Instructor Event (Mark) – There are 52 registrants and NDIs will work the event. Alex will submit to have the insurance raised to reflect more than 50 registrants (completed 3.30 including payment submission). Sponsor is still being pursued for Bthirty. 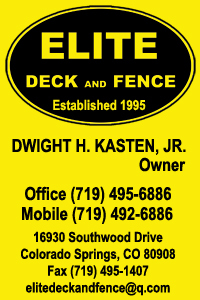 Dwight will stock and fuel up equipment truck and water will be stocked. Event is getting exposure from other regions. Participants for other regions would need to provide their own mentor for any candidates that would attend. 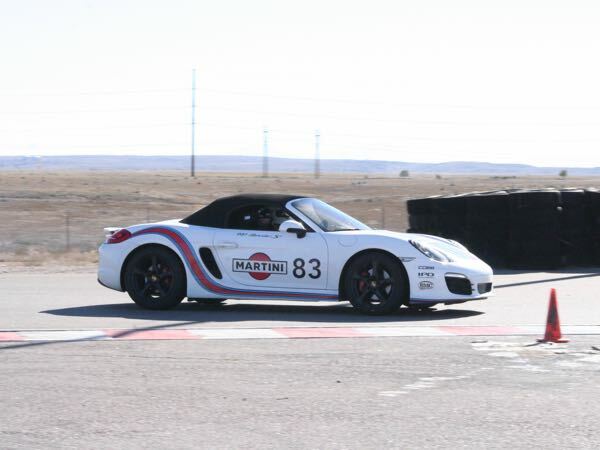 PPIR HPDE – There are 67 registrants with 22 instructors and 45 non-instructors. Currently there are more people requesting or requiring instructors than we have capacity to support. Event closes 4.5 and CDI committee will have to work through assignments and determine who will not be able to attend. In future events, we should advertise that if an instructor is requested that they will be waitlisted until instructor availability is confirmed. MReg information has been updated with this information. An email blast has been sent reminding participants to get Tech Inspections with the linked PCA Form (updated Jan 2019). We are no longer organizing Tech Inspection sessions prior to the event. Perry Park Tour (Nate) – Working on restaurant and will be run by Bob Foltz. Should be open on Mreg by the end of the week. Highway of Legends Tour (Nate/Karl) – Karl will lead this tour and they are also looking for a restaurant. 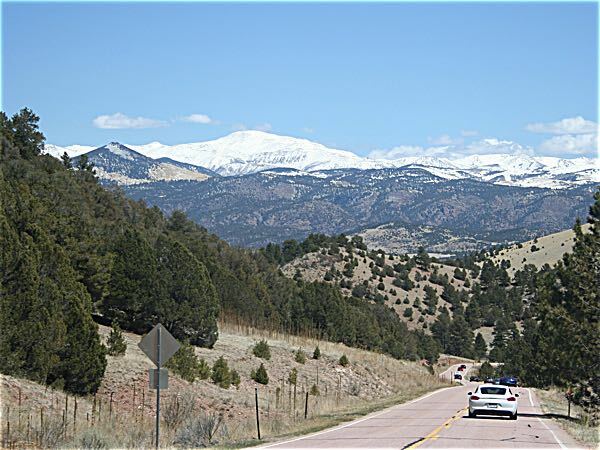 Conifer Tour (Nate) – Jason Watson is running and restaurants options are being reviewed. Heritage Fire Tour (Dana/Dwight) – Budget was submitted which is the same as last year. Budget was approved. Brian Griggs completed the MReg set up and the tour opened on 3.27. 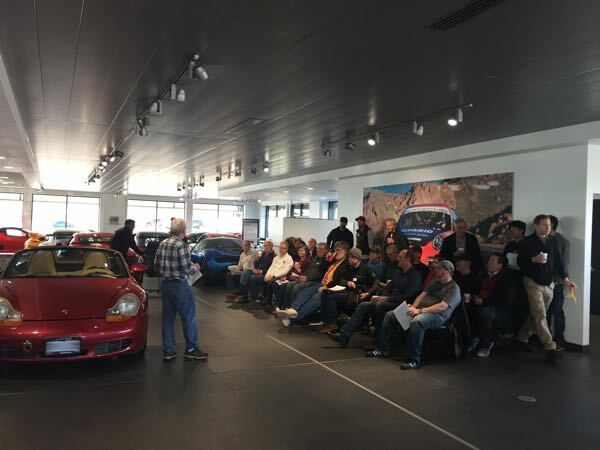 HPDE 101 (Robert B) – 37 people signed up. 13 new driver credits have already been applied to PPIR. Response was very strong and positively impacted new driver sign up at our first event. Zone 9 President’s Meeting (Denise/Alex) – Discussed the continued challenge with getting volunteers and overall participation. Also reviewed Safety Standards and new By Law format that we will need to move to. The Tour Standards were also reviewed. We are currently reviewing the different volunteer positions that are needed with different events and what RMR currently compensates. Noted that Control, Start, Chair, Equipment Truck Driver might be considered for compensation. No formal decision was recommended but upcoming event chairs might consider including these in their budgets. 1. Denise to send Dana contract for Instructor Training so final payment can be sent. 2. Alex to increase insurance for Instructor Training event. Done 3.27. 3. Dana to email reminder of Tech Inspection for PPIR event. Done 3.27. The next Board meeting will be 30 Apr at Texas T-Bone. Attendees: Denise Jordan, Alex Ching, Tim Drummer, Jim Sorensen, Robert Baumgartner, and Max Hellmen. Review of Action Items – There were no Actions Items to review. Denise remarked that the year is off to a great start. The first Tech Inspection was a big success with 22 participants. The planning and messaging has been effective. Denise discussed the National President’s Meeting held 25 Feb, where she participated via phone. 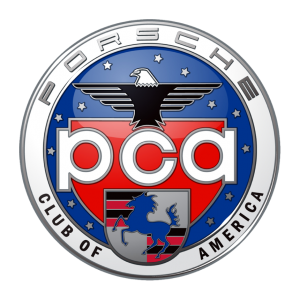 PCA is making website improvements, increasing marketing for club races, increasing the presence for 4-door Porsche owners, and working to increase junior participation in club events. Denise also stated that there have been spam/phishing attacks against club directors. Treasurer’s Report: Dana was unavailable, the Treasury Report will be provided via email. Newsletter: Max is preparing for the March issue and has identified a new designer. The club has purchased a license for InDesign software. Max would still like to find a local person to be the newsletter designer. Expecting an increase in event advertisements and is seeing an increase in member content submissions. Advertising: Denise is now responsible for Advertising, she will be working with advertisers to get contracts setup. Sponsorship: The club now has a contract with PCS and is now working a new ad copy. They will have the front inside cover and two smaller ads. PCS will be providing breakfast for all tours starts. Denise is still exploring a tiered sponsorship approach and is reviewing the RMR approach for ideas. Membership: Jim told the Board there are 431 primary, 254 associate, and an overall total of 685 AMR members. Denise discussed that PCA is a launching a phone app to allow new members to immediately signup. Website: Alex explained that he has launched the new volunteers page. He has been able to identify 3 new Control volunteers but still needs Starters. 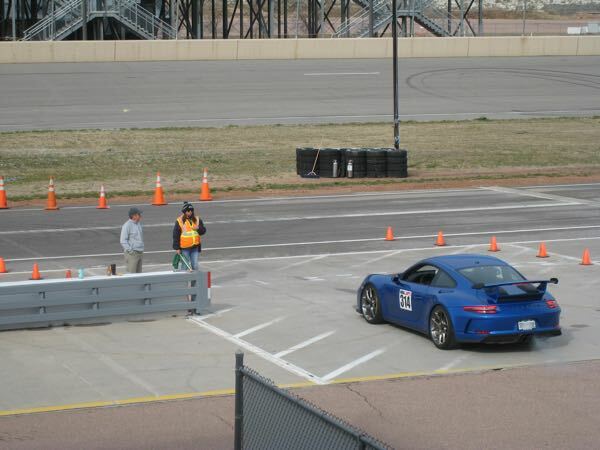 CDI Program: Mark was not in attendance but Denise stated the joint AMR-RMR training session 6 April at Pueblo Motorsport Park is ready to go and E-Blasts will start. 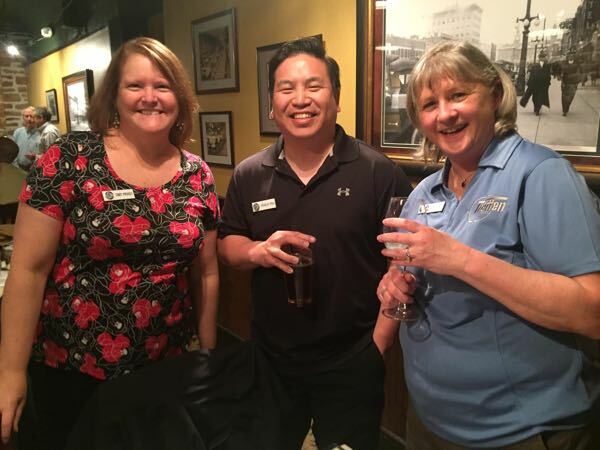 Membership Socials: Denise stated the next social will be at Panino’s Eastside (First and Main Town Center). Charities: Barb was not present but Denise confirmed that Suits for Troops will be the charity for March membership social. Tours: Nate was unavailable but Denise provided a written report from Nate stating that the first tour will be 5 May. There is a strong set of volunteers to support the tours. The next tours will be 18 May and the 30 March Porsche and Pancakes will be focused on a call for volunteers. HPDE101 – Robert provided an overview of the event, stating that it will focus on questions from new participants and then move to a panel discussion. AMR-RMR HPDE Instructor Event – Robert stated that everything is set except still need a Starter. Spring Shakedown PPIR HPDE – Dwight was unavailable, but Denise related that E-Blasts have been sent and there are several registrations. Zone 9 Presidents Meeting – Denise presented the budget for her and Alex to attend the upcoming Zone President’s meeting in Albuquerque. To save costs, they will rent a car. A motion was presented on the budget and it was approved. Tech Inspections – Robert stated the event was very successful with 22 attendees and 3 walk-ins, with 1 minor participant. 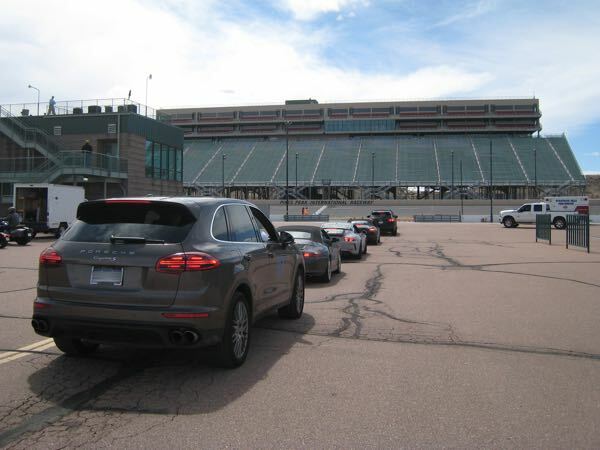 Porsche of Colorado Springs provided a great venue and there was positive feedback from the attendees. Attendees will receive credit on Motorsportreg and are now qualified to provide Tech Inspections at events. A concern was raised, cars with collision avoidance systems and other automated safety features may pose a hazard at HPDE activities. It was pointed out that the Board should be reviewing By-Laws to support expected upcoming changes. Also, need to identify a mechanism to make volunteers aware of what is club intellectual property. The Board discussed the option for a 4th HPDE at Pueblo planned for 5 Oct, but so far an Event Chair has not been identified. The Board agreed that if an Event Chair is not identified by 5 July, the club will be unable to conduct the event in 2019. 1. Approve the Zone 9 President’s meeting in Albuquerque to cover travel, lodging, and food expenses. Made by Jim, Seconded by Tim, all voted AYE. 1. Alex to update the website calendar for tour names and dates. 2. Denise to send Alex the 2019 ad rate sheet and contract. The next Board meeting will be 26 Mar at Amanda’s Cantina North. 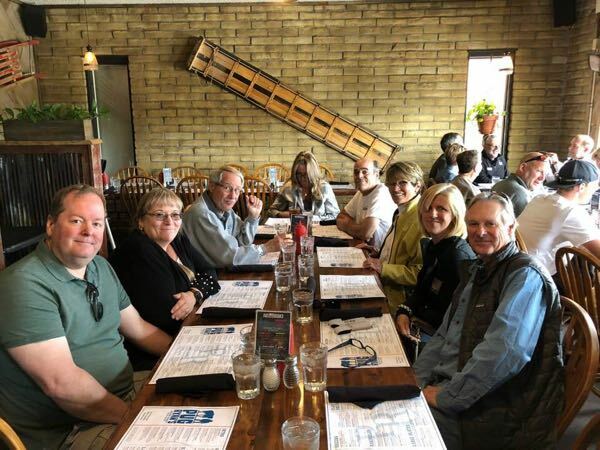 Attendees: Denise Jordan, Alex Ching, Tim Drummer, Pam Drummer, Jim Sorensen, Karl Klepfer, Dana Kasten, Dwight Kasten, Robert Baumgartner, Barb Tracey, Jack Ferguson, Jason Watson, Phil Smith, Pete Kulzer, and Fred Sontag. Review of Action Items – Jim S has called all new members but only received 1 response and will continue bringing badges to the Membership Social. The AI is closed. Denise welcomed the new attendees to Board meeting and stated she was excited for 2019, with Alex as the VP and Karl joining the Board as Member at Large. She believes Alex will add accountability. She also discussed the 2019 calendar, feedback from the recent Board Retreat on strategy and ideas. A goal is to develop shorter Board meetings. 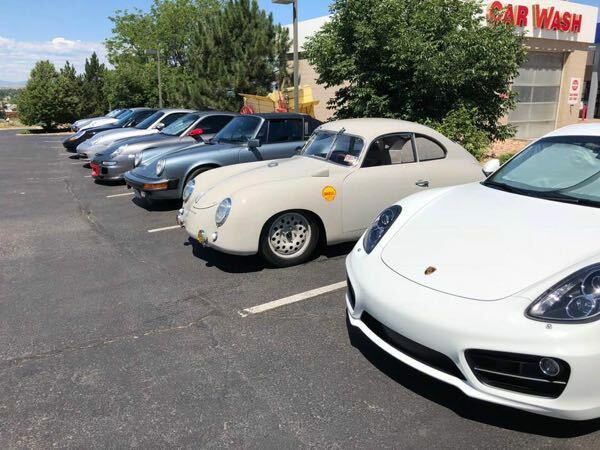 Denise indicated she was please that Porsche Colorado Springs has renewed its club sponsorship and is looking forward to reengaging the dealership. Treasurer’s Report: Dana provided the Treasury Report. All major areas from 2018 that were losing money have been resolved. Newsletter: Max provided his report to the Board via email as he could not attend and Denise provided a recap of the report. The major item was that deadlines for Newsletter content are relaxed but still requesting more content. Advertising: Max is now responsible for Advertising, the intent is to finalize advertising contracts by 1 March. Sponsorship: PCS will be the 2019 sponsor for all tours with the expectation that the tours will start at the dealership. 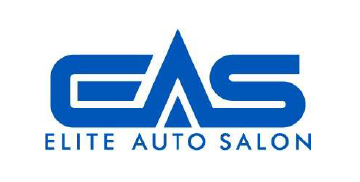 The dealership will host DE101 and Tech Session. The dealership will also encourage membership participation at the Taycan and 992 launch later in the year. Membership: Jim told the Board there have been 7 new primary members, with 435 primary, 257 associate, and an overall total of 692 AMR members. Website: Alex explained that he is launching a Volunteers page and will also be doing an e-blast to call for volunteers. 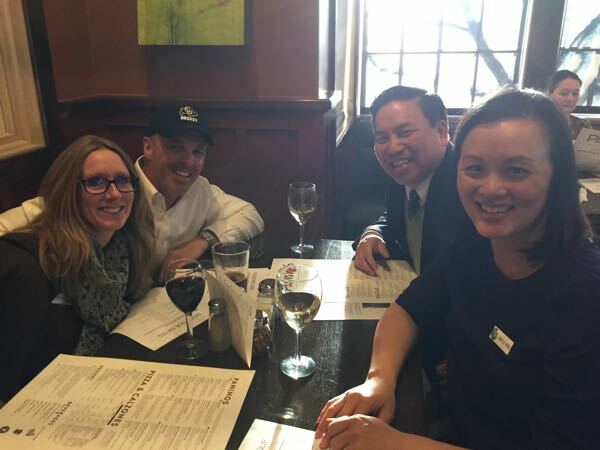 CDI Program: Mark was not in attendance but submitted his report via email detailing his 2019 plans for the CDI program. Membership Socials: Denise reported the next social will be at Jake and Telly’s and that the charity will be the Marion House. Karl discussed some thoughts on how to find opportunities for new members to attend the socials. 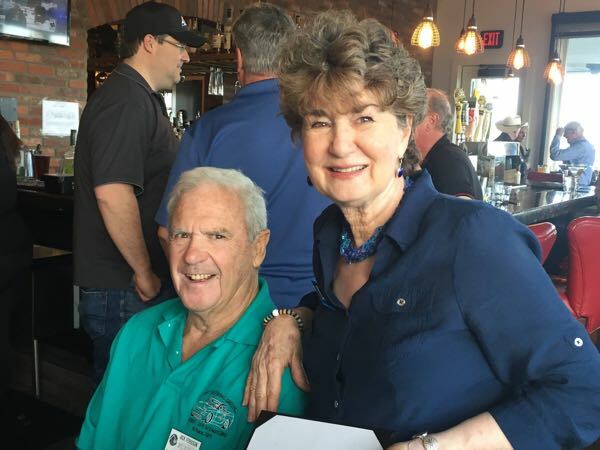 Charities: Barb told the Board the next social will be the Marion House and following that she plans to support Suits for Troops (which supports both men and women former service members). PCS: There was nothing further from the previous discussion. Tours: Nate was unavailable but Denise reported for him that tour dates are now all finalized but some destinations are still in flux. Porsches and Pancakes will be held 30 Mar at Uncle Sam’s Pancake House with a focus on volunteers. Tech Inspections – Robert stated the event has been listed on MREG, 10 people have registered so far, expecting more and will pursue the social media announcements. 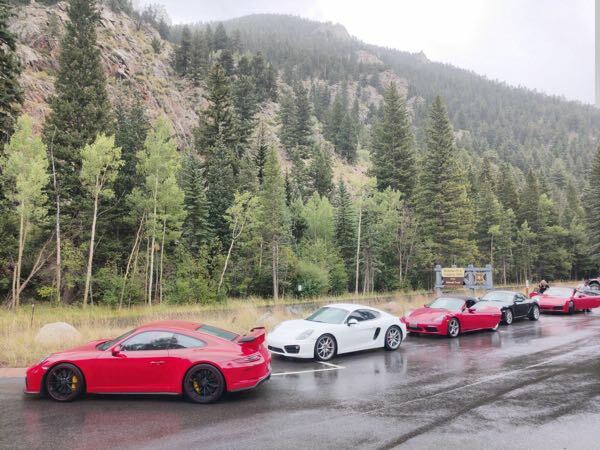 It will be held at Porsche Colorado Springs. DE101 – Denise related that it is not planned to be listed on MREG but will have newsletter articles and Facebook posts to promote. The Chair is expecting good attendance. 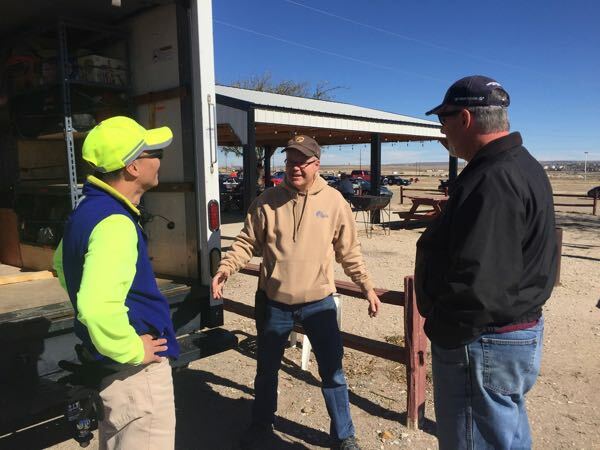 AMR/RMR HPDE Instructor Event – The Board reviewed the email from Mark Stolberg detailing the event, they are still vetting three new instructor applicants. A motion was made and passed to approve the budget pending RMR also approving their portion of the event. PPIR HPDE – Dwight reported that he has the contract and was able to negotiate a reduction of $800. The contract will need some updated information to be final and ready for signature. There will be 12 garages and Dwight will email out the contract for review and updating. 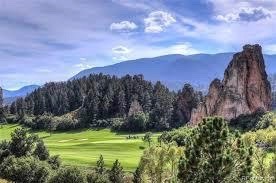 Zone 9 Presidents Meeting – It will be held in Albuquerque on 9 March, Alex and Denise will be attending. They plan to reduce expenses to the club by renting a car instead of flying. Denise will email the final budget to the Board for review and approval. Heritage Fire – Dwight reported that they have a Save the Date for the Heritage Fire Event and are already half full before doing any advertisement. Efficiencies – The Board discussed opportunities to add efficiencies to the meeting with one of the primary objective being to have all content requiring a vote sent to Board members by the Saturday before the meeting for review and Q&A via email. 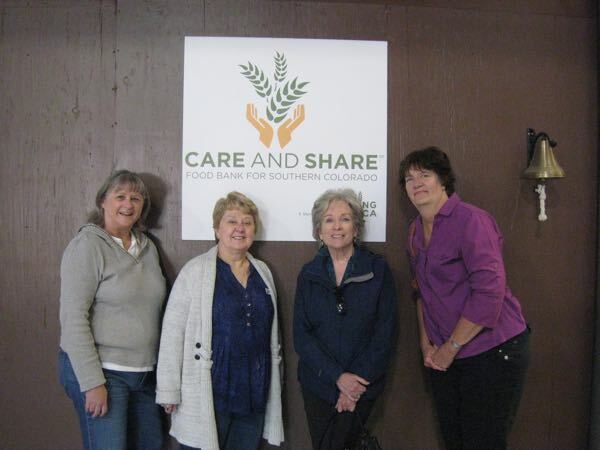 2019 Goals – The Board determined 3 strategic goals for 2019: Identify and codify roles and responsibilities for Board Members, Committee Chairs, and volunteers in terms of policies and procedures with a target due date of June. The next goal is to increase the volunteer pool and also to identify a metric that allows the Board to monitor progress. Finally, the Board will strive to recover the financial losses from 2018. Raffle License – The Board discussed whether the raffles conducted at the membership socials required a state license. It was determined that due to the dollar amount the state of Colorado does not require a license. 1. Approve Treasury Report. Made by Karl, Seconded by Denise, all voted AYE. 2. Approve proposal for joint AMR/RMR HPDE Instructor’s Course, pending approval by RMR for their portion. Made by Alex, seconded by Dana, all voted AYE. The next Board meeting will be 26 Feb at Mollica’s. Attendees: Denise Jordan, Mark Stolberg, Matt Ardaiz, Tim Drummer, Pam Drummer, Jim Sorensen, Nate Adams, Dana Kasten, Dwight Kasten, Max Hellman, Barb Tracey, and Jack Ferguson. Review of Action Items – The first AI, Jim S will call new members and will bring badges to the Christmas party, the AI remains open. The second AI, Denise to get the new trophies is complete. All recipients have been selected. Denise remarked that the year has gone by very quickly but that it has been a good year for the club. She thanked all the volunteers for the contributions. Denise said she is looking forward to the Joint Board Meeting and Christmas Party. While there are still some risks to the club there are also many opportunities. Treasurer’s Report: Dana provided Treasury Report. Year to Date Club financials have improved but still down for the year. There were minimal expenses last month and we recently received the PCA rebate. Projecting the club will be still be down at year end. Newsletter: Matt reported that the December newsletter is complete and requested any dates for future events be sent to him. Mark introduced Max Hellman who is interested in taking over as Newsletter Editor. Max completed a questionnaire for the position which the Board members had previously reviewed. Max gave a verbal review of his background and the Board members gave their background. Max was approved as the new Newsletter Editor. Advertising: It was discussed that the club will keep the same approach for the time being as now with Max starting as the Editor. Max will handle the content and Dana will work the billing. 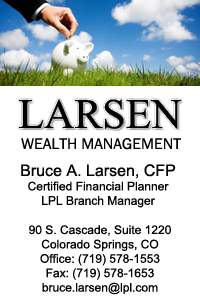 Sponsorship: Denise related to the Board that she has discussed with Fred Veitch an updated approach to Porsche of Colorado Springs sponsorship. Also, she is working with Alex to develop a tiered approach to sponsorships. Membership: Jim told the Board there have been 2 new members including one assigned from England. AMR now has 688 total members: 431 Primary and 257 affiliate members. CDI Program: Mark related to the Board that there are no major significant changes in the last month. He and others are working to confirm to the AMR event dates to ensure no conflicts with major external groups like WRL. Pueblo HPDE was moved from May to mid-June and Mark confirmed 7/8 September for La Junta. 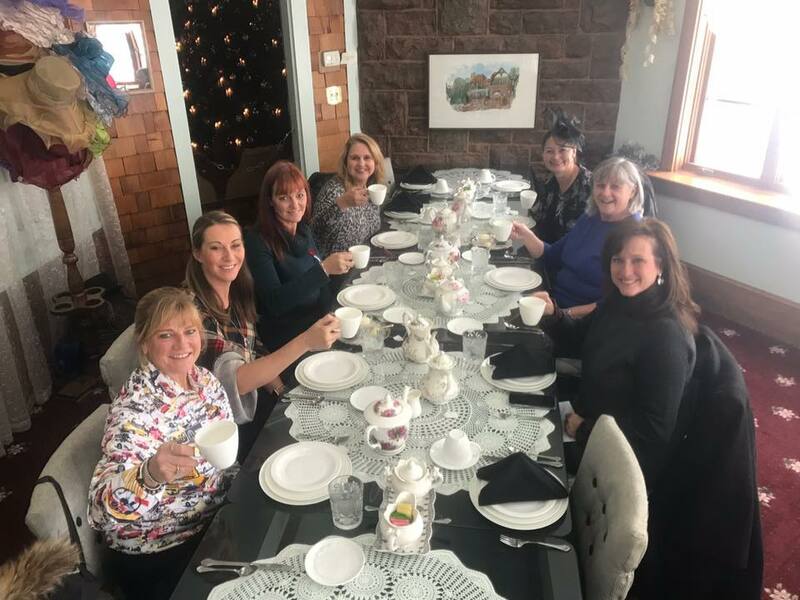 Membership Socials: Denise reported that at the November Ladies Day Luncheon the weather was very bad but still had 7 participants and the event was very enjoyable. January membership social is probably going to be at Paravicini’s. Charities: Barb told the Board that she is still available to collect any donations for the Ladies Day charity from anyone that wasn’t able to attend but would still like to make a donation. She also reminded everyone that The Christmas Party will collect items for the Toys for Tots charity. Tours: Nate reported that all 2019 dates are still tentative, but confirmed no HPDE conflicts. Locations are still being refined. 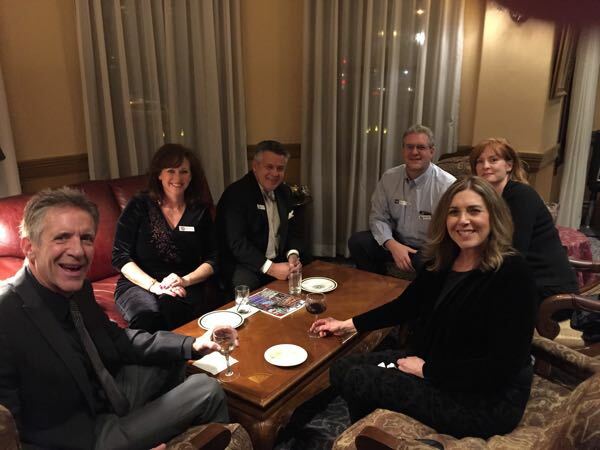 Joint Board Meeting – Denise plans to send an e-blast to the membership inviting anyone to attend who would like. The event calendar is mostly locked at this point, focus of meeting will be on broader club issues. It will be held 9 Dec at 11am at Old Chicagos on North Academy at the intersection with Austin Bluffs. Board Elections – Denise discussed that the ballot is in the December newsletter and it will also be sent out via an e-blast. There will be paper ballots at the Christmas Party. All ballots must be received by 7 December, 2018. 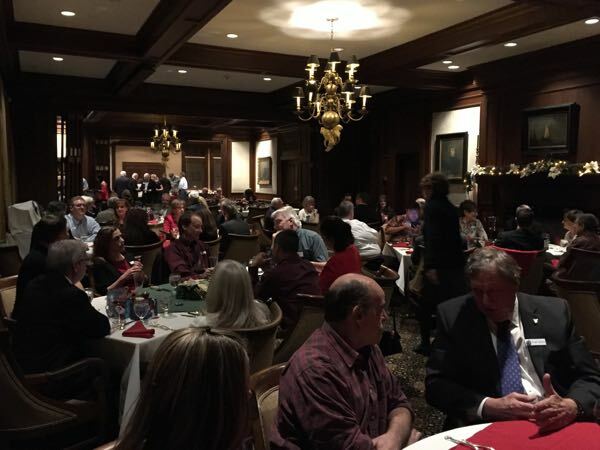 Holiday Party – Denise said everything is set and currently have 72 RSVPs. 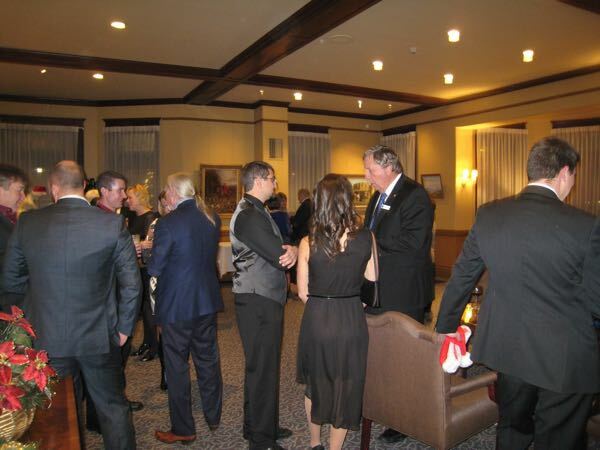 The deadline to RSVP is 3 Dec. Denise emphasized the dress attire is no jeans, business casual or better. For the charity, it was discussed that no gift should be more than $25 to allow for as many gifts for as many children as possible, in the past have seen very expensive gifts that limit the number of children who can benefit. 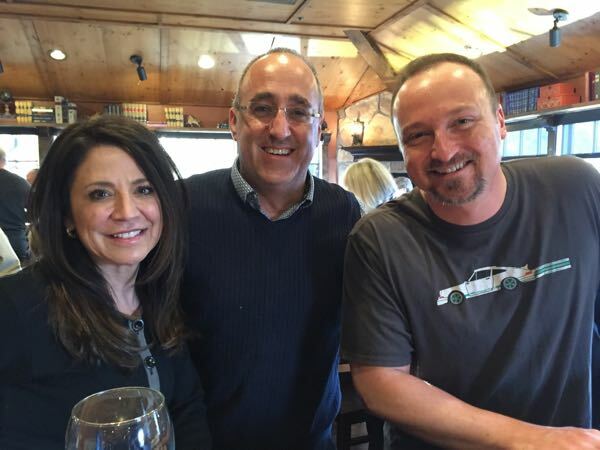 Treffen – Nate, Alex, and Denise met with PCA Treffen Chair after PCA had surveyed both the Broadmoor and the Cheyenne Mountain Resort. There are still several PCA approvals remaining before a final selection is made. Alex and his wife Kim have agreed to be the event chairs if AMR venue is selected. The event is currently targeting the first weekend in May, 2020. PCA is recommending a minimum of 6 tours and Nate is pursuing tour volunteers now. 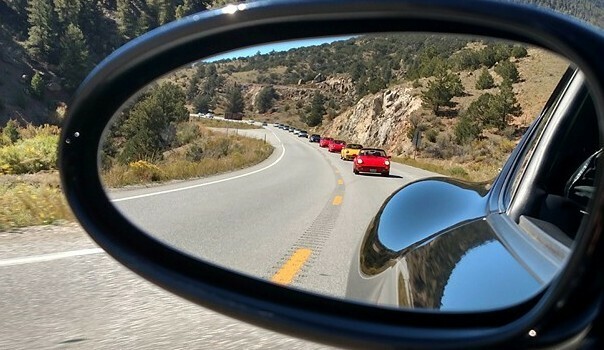 The 2019 tours may be dry-runs for the Treffen tours. Dwight reported that the truck and trailer is at PCA Motorsports and is now winterized. 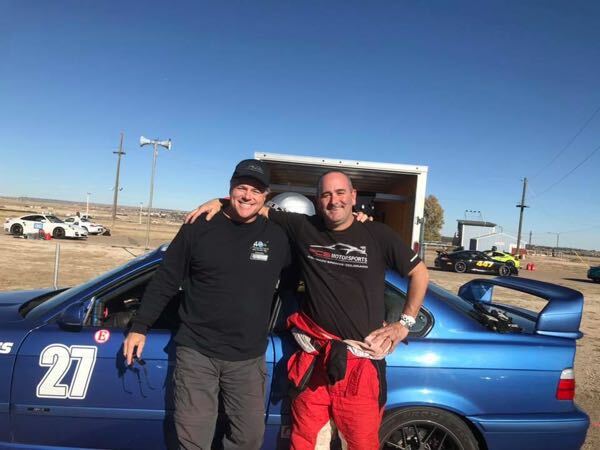 Mark complimented support that Dwight provided as the de facto Equipment Chair and that HPDE Chairs never worried whether all needed equipment for their event would be in the track and/or trailer. 1. Approve Treasury Report. Made by Tim, Seconded by Jim. Denise, Mark, and Dana voted AYE. The next Board meeting will be 29 Jan at Texas T-Bone. Attendees: Denise Jordan, Mark Stolberg, Matt Ardaiz, Tim Drummer, Jim Sorensen, Robert Baumgartner, Alex Ching, Nate Adams, Dana Kasten, Dwight Kasten, Phil Smith, Tim Hoiles, Robert Yen, Karl Klepfer, Max Hellman, Barb Tracey, Fred Veitch, and Jack Ferguson. Review of Action Items – The first AI, Jim S to put request in newsletter and to email/call new members, the first part is complete but the second part remains open. The second AI, Denise to arrange date and location of the joint board meeting has been closed. Denise welcomed the many new attendees to the Board meeting. She commented that Mollica’s has a time limit on how late the meeting could go, so she encouraged Board members to be efficient. The Club is winding down the year, with the Mystery Tour and Pueblo HPDE just completed. She expressed thanks to volunteers. Denise also related that PCA has reached out to AMR to request support for a Colorado Springs Treffen. The AMR Board supports the event and PCA representatives will be onsite in November to begin working details. Treasurer’s Report: Dana provided a 2 month report since she was absent last month. Overall the Club balance is down $14k but is improving slightly. 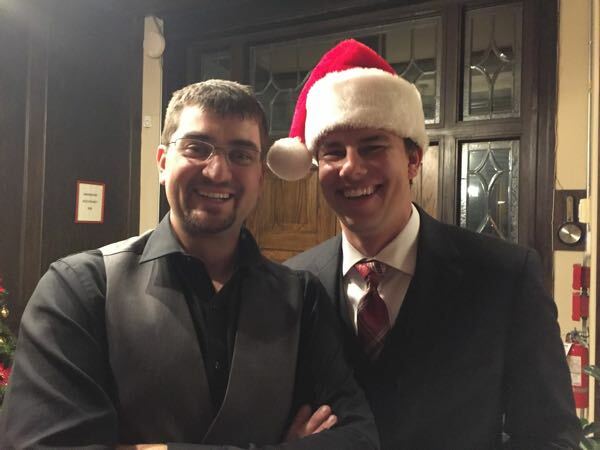 Newsletter: Matt reported that the digital newsletter is on track for delivery Dec 1. The content is fairly sparse given the slowdown in the schedule. For anything going into the Dec Newsletter, Matt will need items by 26 Nov. Denise mentioned that she had a lead for a replacement editor but it fell through, the club is still looking for a Newsletter Editor. Advertising: Matt stated without an Editor advertising is a challenge but he will send out a request for volunteers. Membership: Jim told the Board there have been 7 new members and 2 departures since his last report. AMR now has 433 Primary and 260 affiliate members. There were 66 Newsletter mailings in Oct.
Website: Alex reported the website is going well. CDI Program: Mark related to the Board we’ve had a great season with lots of assistance from instructors. Fred echoed that it was well organized. Phil Smith commented that he was recently in Birmingham at the Porsche Sports Driving School and that while there he got many compliments on AMR HPDE’s. Membership Socials: Denise reported that at the November Lady’s Day is expected to have strong turnout. Charities: Barb reminded everyone that The Christmas Party will collect items for the Toys for Tots charity. 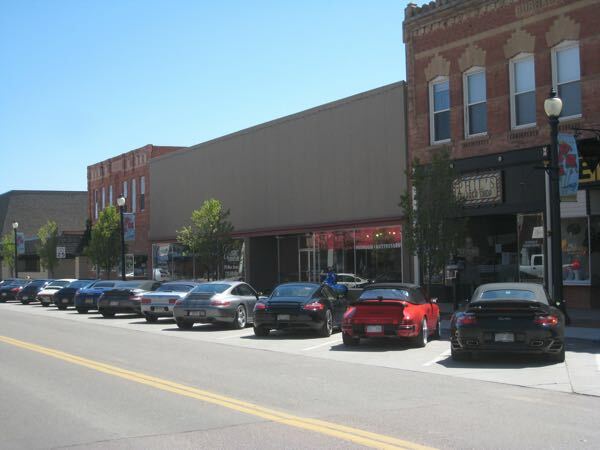 PCS: Fred told the Board that he is working with PCA on a display solution for the Colorado Springs dealership to showcase club memorabilia, and that he plans to engage the dealership early in 2019. Tours: Nate reported that the Fall Mystery Tour went well and that he is working the 2019 calendar of events. He expects to have some new tour leads. Joint Board Meeting – Denise has been discussing with Jim Thornburn (RMR) to confirm the date of 9 Dec at 11am at Old Chicagos on North Academy. Denise emphasized that the meeting will include more joint issues between the clubs than just scheduling. Board Elections – Denise discussed that she has been considering how to go forward with the VP role with Mark stepping down. The Board has previously discussed expanding the role for a First and Second VP. After discussion with how other Zones have implemented such an approach, she would like to keep a single VP in 2019 with the goal of defining a two-VP approach for 2020. Alex has expressed interest in running for the VP role in 2019, and there are three members that have expressed interest in the Member at Large position. The Nominating Committee will narrow down to a single person on the slate. Holiday Party – Denise said the date has moved to 7 Dec, she is finalizing menus and cost, and everything is proceeding. 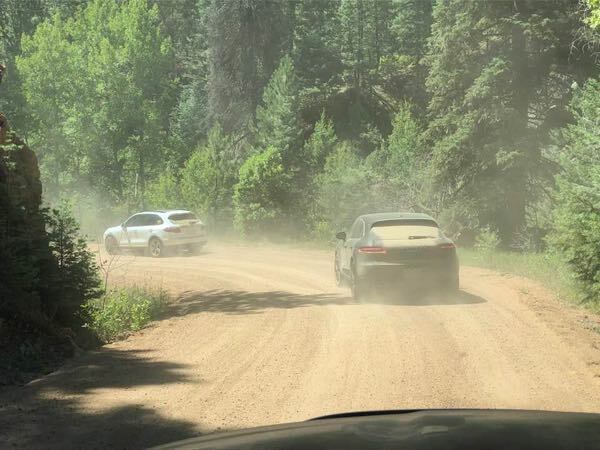 Mystery Tour – Nate stated it was sold out at 20 cars with 19 rooms, it ended up at Ouray, CO. Everything went well and the final budget was reviewed. 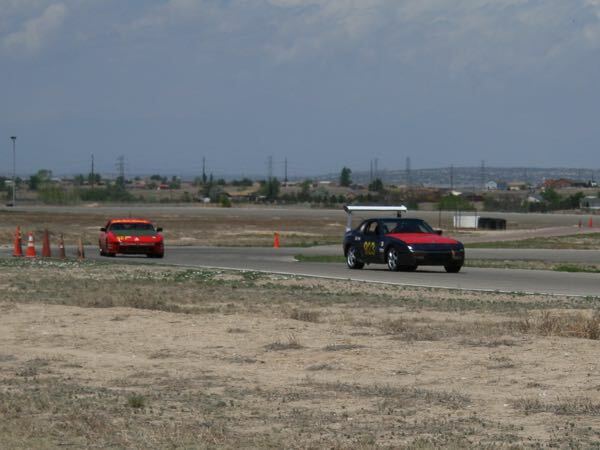 Pueblo HPDE – Robert reported there 63 drivers and he saw a lot of advanced drivers at the event. There were no safety issues. Max Hellman told the Board this was his first DE, he gave high praise to the event and stated he would like to get more involved volunteering in 2019. Award Committee – Denise told the Board that the Award Committee has collected trophies from the last winners and they are now working on selecting the new awardees. 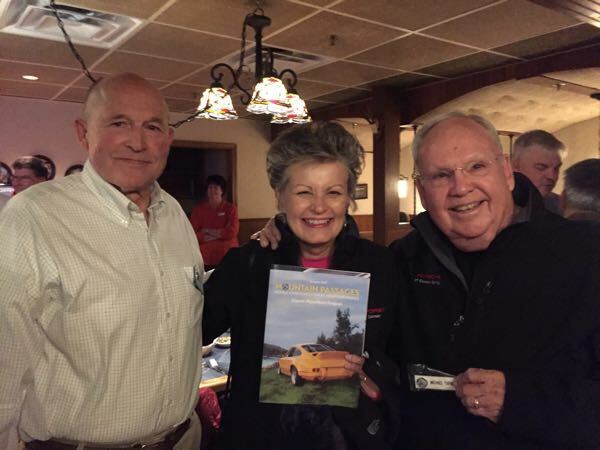 HPDE Program in 2019 – Denise opened the discussion on HPDE by telling the assembled audience that HPDE’s are not going away, that the Board has committed to a minimum of 3 HPDE’s in 2019. She stated that the Board is looking into options for a 4th HPDE in 2019. Denise discussed that the dynamics of the club have led to a decrease on HPDE participation and that we need more volunteers. Key areas include Start, Control, and corner workers. Need additional volunteers to distribute the workload. Mark added that part of his reason to not pursue the VP role next year was to focus on providing support to HPDE Chairs. Planning for an HPDE begins almost a year in advance. The Board is committing to 3 events and this is a stronger commitment have seen historically. Mark believes he may have identified volunteers for a 4th HPDE. Typically for an event there are many caveats and it is on hold until all volunteers are identified. He is actively working schedules and de-conflicting with other major events (WRL, RMR, etc). Denise solicited volunteers from among the new attendees to the Board meeting. Max re-iterated his willingness to volunteer. Robert Yen asked for confirmation if the commitment was 3 or 4 events (answer was currently 3). 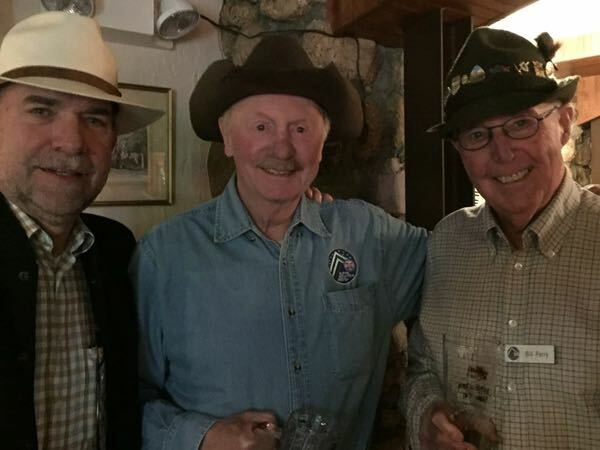 Robert lobbied to add La Junta as a 4th event. There was also discussion that the lack of an instructor training program in 2019 was a problem. Tim Hoiles asked if the Club had implemented sponsorship levels (response, not yet but Club would look into it). Tim also asked if he could get Club Treasury balances for 2008, 2013, and 2017. Were there HPDE losses in the last 5 years (response, no, have not seen losses in last 5 years). Volunteer Program – Alex stated that we need a bevy of volunteers and that for each position we need a roles and responsibilities description. Also include what training is available to the volunteer. Alex will be adding this information the website. Alex asked the Board to help with inputs on each of these roles. Fred suggested we do a local training workshop. 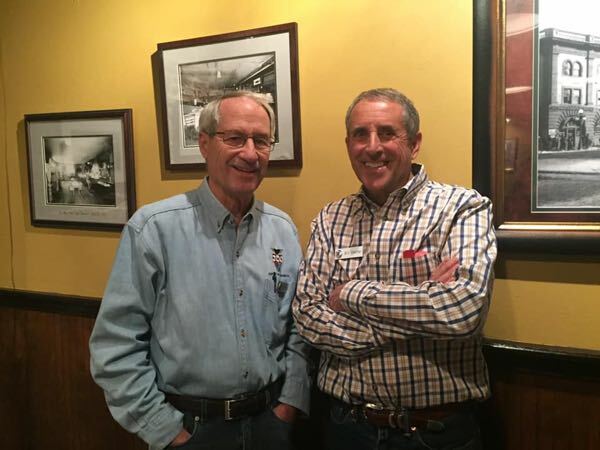 Control and Start Committee – Alex stated he and Bob Foltz will put together a committee to identify a set of volunteers for Control and Start positions and to provide training. This will create a set of volunteers for all HPDEs. Goal is to have in place by first 2019 HPDE. 1. Approve 2 month Treasury Report. Made by Mark, Seconded by Jim. Denise, Alex, Dana, and Tim voted AYE. 1. Denise to work with Dana to get the trophies made that are the members to keep. The next Board meeting will be 27 Nov at Texas T-Bone.